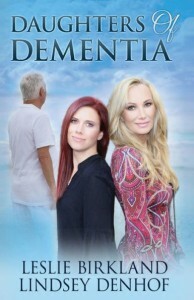 *Daughters of Dementia Paperback (Biographies & Memoirs Deal of the Day, Sponsor, Two Daughters Share Anecdotes and Stories of their Father’s Dementia) by Leslie Birkland, Lindsey Denhof. Price: $6.99. 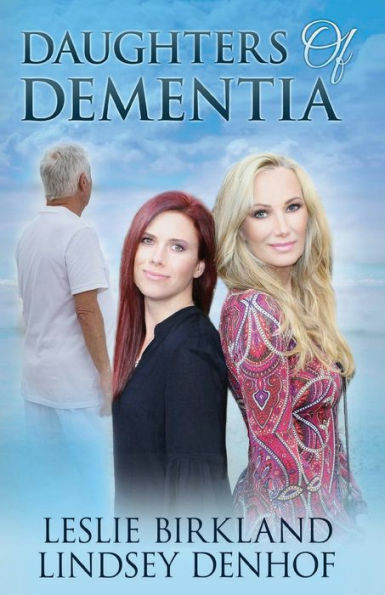 Genre: Biographies & Memoirs Deal of the Day, Sponsor, Two Daughters Share Anecdotes and Stories of their Father’s Dementia. Rated 5 stars on 7 review. ASIN: B07CYZZLGL. 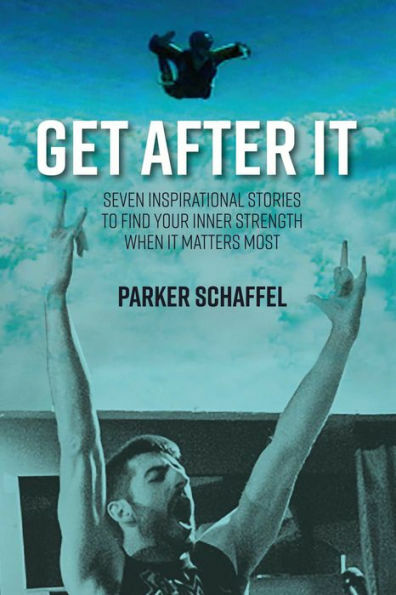 *Get After It: Seven Inspirational Stories to Find Your Inner Strength When It Matters Most (Biographies & Memoirs Deal of the Day, Sponsor, 7 Inspiring & Motivational Stories to Keep You Going through the Toughest of Times) by Parker Schaffel. Price: $0.99. 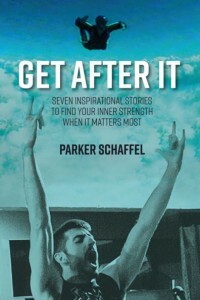 Genre: Biographies & Memoirs Deal of the Day, Sponsor, 7 Inspiring & Motivational Stories to Keep You Going through the Toughest of Times. Rated 5 stars on 6 review. 221 pages. ASIN: B07GC1PWSM. *Meth Vs Death No Way Out (Biographies & Memoirs Deal of the Day, Sponsor, True Story, 10 years Addiction to Cocaine and Meth) by Stormy Rainey. Price: $4.99. 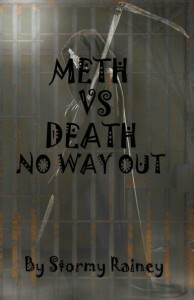 Genre: Biographies & Memoirs Deal of the Day, Sponsor, True Story, 10 years Addiction to Cocaine and Meth. Rated 4.4 stars on 6 review. 370 pages. ASIN: B07C3C75XQ. **Eight Goodbyes (Romance Deal of the Day, Sponsor, A man who’s in a Hurry to Settle Down, A Woman who’s Enjoying her Freedom and Newfound Success, Neither of them is Willing to Give in) by Christine Brae. Price: $4.99. Genre: Romance Deal of the Day, Sponsor, A man who’s in a Hurry to Settle Down, A Woman who’s Enjoying her Freedom and Newfound Success, Neither of them is Willing to Give in. Rated 4.5 stars on 52 review. 278 pages. Paperback version! ASIN: B07DHC7RWQ. * Enlightened (Paranormal Romance Deal of the Day, Sponsor, What if the Life you thought was Real never was, Love you thought was Lost will go on forever) by Billie Kowalewski. Price: $1.99. Genre: Paranormal Romance Deal of the Day, Sponsor, What if the Life you thought was Real never was, Love you thought was Lost will go on forever. Rated 4.4 stars on 36 review. 351 pages. ASIN: B06VTBR36K. **Dan Alexander, Pitcher (Bottom of the Ninth) (Romance of the Day, Sponsor, A Star Pitcher, A Girl selling Hotdogs at the ballgame) by Jean C. Joachim. Price: $0. Genre: Romance of the Day, Sponsor, A Star Pitcher, A Girl selling Hotdogs at the ballgame. Rated 4.5 stars on 51 review. 241 pages. ASIN: B01M0UT7CS. ***New Corpse In Town (Secret Seal Isle Mysteries, Book 1) (Steamy Cozy Mystery Deal of the Day, Sponsor, NY Times Bestselling Author, Mystery) by Lucy Quinn. Price: $0. Genre: Steamy Cozy Mystery Deal of the Day, Sponsor, NY Times Bestselling Author, Mystery. Rated 4 stars on 448 review. 236 pages. ASIN: B01IFSDRW6. ***Fashionably Dead (Hot Damned Series, Book 1) (Steamy Romance Deal of the Day, Sponsor, Paranormal Romance, NY Times Bestselling Author) by Robyn Peterman. Price: $0. Genre: Steamy Romance Deal of the Day, Sponsor, Paranormal Romance, NY Times Bestselling Author. Rated 4.5 stars on 2225 review. ASIN: B00EYMXM2I. *The Candle Room (Paperback) (Suspense Thriller Deal of the Day, Sponsor, Quirky, Witty Read with Original Plot) by Daniel K Gentile. Price: $14.78. Genre: Suspense Thriller Deal of the Day, Sponsor, Quirky, Witty Read with Original Plot. Rated 4.4 stars on 32 review. 424 pages. ASIN: B01A9CDXMA. **Eye of the Moon (Paperback) (Suspense Thriller Deal of the Day, Sponsor, Paranormal Thriller, Wonderful Read) by Ivan Obolensky. Price: $16.99. Genre: Suspense Thriller Deal of the Day, Sponsor, Paranormal Thriller, Wonderful Read. Rated 4.8 stars on 66 review. 554 pages. ASIN: B07BH41NB5. *Game of Twins (Sizzling Mystery Thriller Deal of the Day, Sponsor, Things are not what they seem) by Mo Robinson. Price: $4.99. Genre: Sizzling Mystery Thriller Deal of the Day, Sponsor, Things are not what they seem. Rated 5 stars on 1 review. ASIN: B07GVTYBYT. *Chasing the Wind (Historical Thriller Deal of the Day, Sponsor, Cinematic Romp) by C. C. Humphreys. Price: $0.99. Genre: Historical Thriller Deal of the Day, Sponsor, Cinematic Romp. Rated 4.6 stars on 39 review. 298 pages. ASIN: B07D6Z9BQ4. *Related By Blood: Book 1 (Domestic Thriller of the Day, Sponsor, Noir, If you could Erase one Day from your Life, would you do it) by Holly Sheidenberger. Price: $0. Genre: Domestic Thriller of the Day, Sponsor, Noir, If you could Erase one Day from your Life, would you do it. Rated 4.6 stars on 3 review. 20 pages. ASIN: B07GQZW1QZ. *5 Inspiring Stories (Christian Books Deal of the Day, Sponsor, Stories of Faith that will inspire you) by Dmitri Dobrovolski. Price: $0.99. Genre: Christian Books Deal of the Day, Sponsor, Stories of Faith that will inspire you. Rated 5 stars on 1 review. 76 pages. ASIN: B07DRS5FDY. *Rhythm (Ihy Saga Book 1) (Fantasy Deal of the Day, Sponsor, He Gets a Lifetime Offer, His Fateful Decision puts him on a Dangerous Path) by Bill Ricardi, Natalie Marten. Price: $3.99. Genre: Fantasy Deal of the Day, Sponsor, He Gets a Lifetime Offer, His Fateful Decision puts him on a Dangerous Path. Rated 5 stars on 1 review. 250 pages. ASIN: B07G774Q1Q. *Of Lords and Commoners (Lords and Commoners Series) (Historical Fantasy of the Day, Sponsor, Dramatic Fiction with a Realistic Tone, Fresh Spin on Vampire Tales) by Lynne Hill-Clark. Price: $0. Genre: Historical Fantasy of the Day, Sponsor, Dramatic Fiction with a Realistic Tone, Fresh Spin on Vampire Tales. Rated 4.8 stars on 13 review. 365 pages. ASIN: B01HFH7KYO. *The Beauty in Darkness: A Vampire Story (Paperback) (Fantasy Deal of the Day, Sponsor, Delicious and Dark Fantasy Vampire Story) by Leah Reise. Price: $11.00. Genre: Fantasy Deal of the Day, Sponsor, Delicious and Dark Fantasy Vampire Story. Rated 4.2 stars on 38 review. 270 pages. ASIN: B01IAQMHOC. *The Divine Dissimulation (The Divine Zetan Trilogy, #1) (Futuristic Science Fiction Deal of the Day, Sponsor, He Travels to Divine Dimensions and Finds out god is Dead, He takes god’s Place, Becomes a god in the eyes of Men) by Martin Lundqvist. Price: $3.00. Genre: Futuristic Science Fiction Deal of the Day, Sponsor, He Travels to Divine Dimensions and Finds out god is Dead, He takes god’s Place, Becomes a god in the eyes of Men. Rated 5 stars on 5 review. 284 pages. ASIN: B0785P4L87. **Jaclyn and the Beanstalk (YA Fantasy Deal fo the Day, Sponsor, Reads like a Retelling of a Romantic Fairy Tale versus an Action Packed Zombie Adventure) by Mary Ting. Price: $1.99. Genre: YA Fantasy Deal fo the Day, Sponsor, Reads like a Retelling of a Romantic Fairy Tale versus an Action Packed Zombie Adventure. Rated 4.4 stars on 63 review. ASIN: 1944109749. **The Six and the Crystals of Ialana: Book One of the Ialana Series (Paperback) (YA Science Fiction Adventure Deal of the Day, Sponsor, Action) by Katlynn Brooke. Price: $20.99. Genre: YA Science Fiction Adventure Deal of the Day, Sponsor, Action. Rated 4.3 stars on 51 review. 272 pages. ASIN: B00KK5IPN4. *The Royal Order of Fighting Dragons (Children’s Fantasy Deal of the Day, Sponsor, If you like Dragons) by Dan Elish. Price: $1.99. Genre: Children’s Fantasy Deal of the Day, Sponsor, If you like Dragons. Rated 5 stars on 8 review. 424 pages. ASIN: B07G5MBFJF. *Snow Flower And The Panther (Paperback) (Children Deal of the Day, Sponsor, Deep in the Forests, A Girl living with her Grandmother, An Injured Panther Cub, Perfect for Young Children) by Fleurie Leclercq. Price: $12.99. Genre: Children Deal of the Day, Sponsor, Deep in the Forests, A Girl living with her Grandmother, An Injured Panther Cub, Perfect for Young Children. Rated 4.9 stars on 16 review. 43 pages. ASIN: B07DYHP7RZ. *HENDER NATHANIELS: He didn’t haunt, he taught! (Children’s Books Deal of the Day, Sponsor, Instead of Haunting the House, the Spirit becomes part of the Family) by BRI B.. Price: $2.99. Genre: Children’s Books Deal of the Day, Sponsor, Instead of Haunting the House, the Spirit becomes part of the Family. Rated 5 stars on 1 review. 243 pages. ASIN: B07D94YMVL. *The Slave King (Parthian Chronicles Book 10) (War Fiction Deal of the Day, Sponsor, Will He Save the New King and Prevent Death and Destruction on Armenia) by Peter Darman. Price: $4.50. Genre: War Fiction Deal of the Day, Sponsor, Will He Save the New King and Prevent Death and Destruction on Armenia. Rated 5 stars on 9 review. Paperback version! ASIN: B07DKFN4PR. *“Cucumbers Have Thorns and Snakes Loves Strawberries”: How I won (Paperback) (African American Biographies & Memoirs Deal of the Day, Sponsor, True Story, A Journey of Discovery and Redemption) by Janice E. Sullivan. Price: $12.26. Genre: African American Biographies & Memoirs Deal of the Day, Sponsor, True Story, A Journey of Discovery and Redemption. Rated 4.9 stars on 32 review. 340 pages. ASIN: B0040JI3S8. *The 6D of Health (Nonfiction Deal of the Day, Sponsor, A Concise Guide to Complete Wellbeing, Six Domains of Health) by James Alegbeleye. Price: $11.99. Genre: Nonfiction Deal of the Day, Sponsor, A Concise Guide to Complete Wellbeing, Six Domains of Health. Rated 5 stars on 1 review. 292 pages. Paperback version! ASIN: B077NLY88D. *Social Media Just for Writers: How to Build Your Online Platform and Find and Engage with Your Readers (Non Fiction Guide for Authors Deal of the Day, Sponsor, Writer Skills, Learn more about using Facebook, Instagram, Snapchat, Twitter to reach readers) by Frances Caballo. Price: $4.99. Genre: Non Fiction Guide for Authors Deal of the Day, Sponsor, Writer Skills, Learn more about using Facebook, Instagram, Snapchat, Twitter to reach readers. Rated 4.3 stars on 15 review. 231 pages. ASIN: B01N5RJGST. *The 7th Sense (Paperback) (Non Fiction New Age Deal of the Day, Sponsor, How to Create Your Own Reality, See Behind Reality) by Guy Lozier. Price: $13.99. Genre: Non Fiction New Age Deal of the Day, Sponsor, How to Create Your Own Reality, See Behind Reality. Rated 5 stars on 1 review. 91 pages. ASIN: B078Q3341J. *Teach Yourself Chess: The first coach of the world champion presents: (Non Fiction Deal of the Day, Sponsor, Chess Guide, Coach of a Chess Champion, 25 Years of Experience Coaching Chess, Teaches You How to Play Chess Well) by Dmitri Dobrovolski. Price: $2.99. Genre: Non Fiction Deal of the Day, Sponsor, Chess Guide, Coach of a Chess Champion, 25 Years of Experience Coaching Chess, Teaches You How to Play Chess Well. Rated 5 stars on 1 review. 114 pages. ASIN: B01MYW4E7U. *…Stepping Lightly Through Times of Great Change: hints and holograms for your well-being (Non Fiction Deal of the Day, Sponsor, Wellness and Wellbeing, Get through Times of Great Change while keeping your well being intact) by Diane de Simone. Price: $0.99. Genre: Non Fiction Deal of the Day, Sponsor, Wellness and Wellbeing, Get through Times of Great Change while keeping your well being intact. Rated 5 stars on 1 review. 27 pages. ASIN: B07H12GQL4. *The Truth About Alcohol – The Hidden Secrets Revealed (Non Fiction of the Day, Sponsor, How to avoid the dangers of Alcohol) by T.J. Levi. Price: $0. Genre: Non Fiction of the Day, Sponsor, How to avoid the dangers of Alcohol. Rated 5 stars on 1 review.